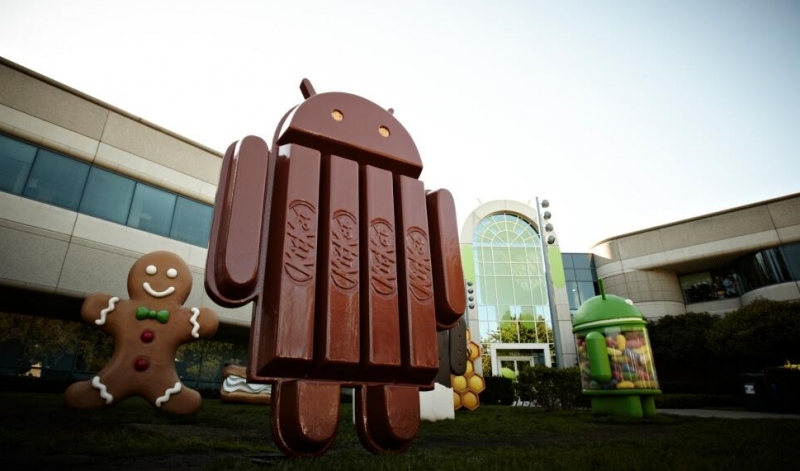 Android phones running OS 4.4 (KitKat) now represent more than one fifth (20.9%) of all handsets on the market, says Google's latest platform version report. That is a marked improvement over last month month, when KitKat's market share was 17.9%, and a big leap over the 14.9% share it had in June. Released monthly, the report breaks down the various versions of Android to help developers decide how to better spend their resources. While KitKat is steadily increasing its foothold, Jelly Bean is still the king of the market, running on 54.2% of Android devices. The original 4.1.x version remains the most popular variant with 26.5% share, while versions 4.2.x and 4.3 stand at 19.8% and 7.9%, respectively. As for other versions, Ice Cream Sandwich has 10.6% market share, while Froyo is running on only 0.7% of the devices. Interestingly, Gingerbread's market share has shot up 0.1% in last 30 days, and now stands at 13.6%. Devices running older versions are not included in the report as the data is gathered from the new Google Play Store app, which supports Android 2.2 and above. The report also contains breakdowns of screen densities and Open GL version distribution for those interested. The next major version of Google's mobile OS is called Android 'L', which is expected to arrive before the end of the year.